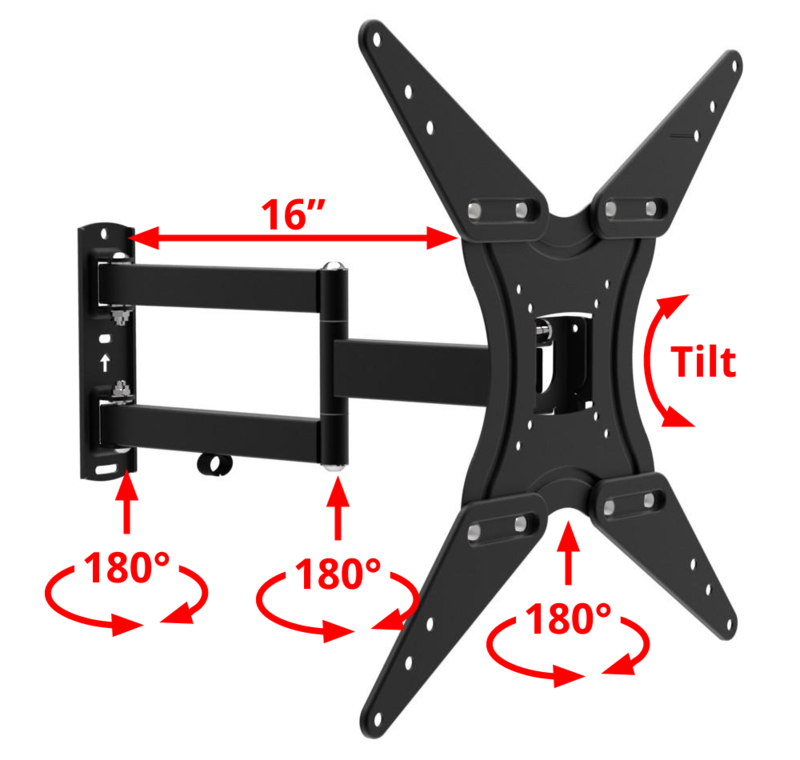 Fits TV Screen Size Up To: 24",27',30",32",37",39",40",42",46",47", 50", 55"
The JRP04-CB2 is a Full Motion TV Wall mount that allows you to tilt, turn and swivel your TV to the perfect angle. 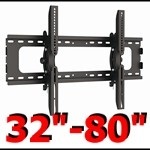 Mount your TV to any wall in the room and always have a great view. The steel construction is super durable and and reliable. 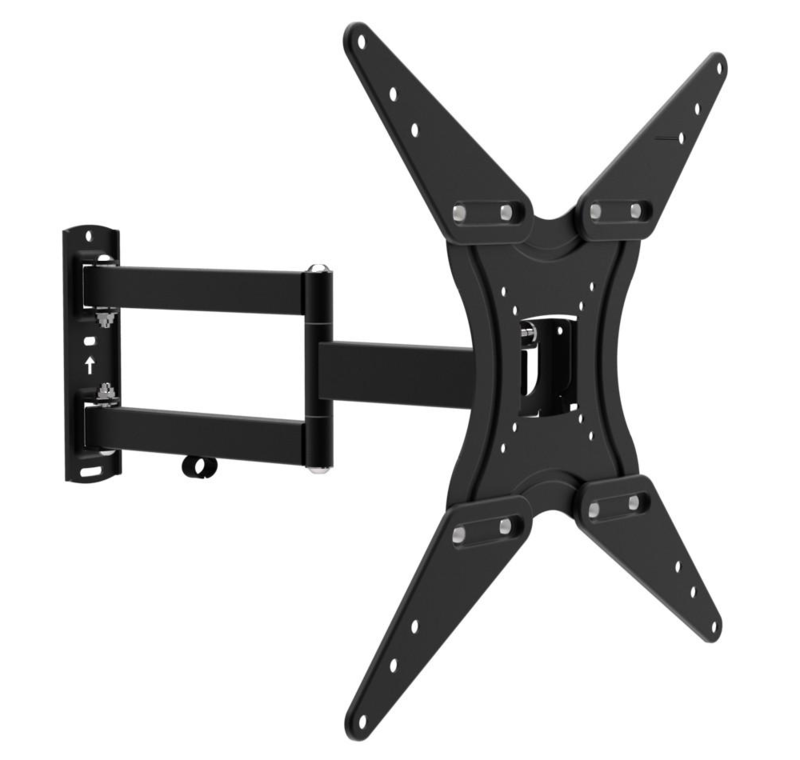 You can feel secure when you mount your TV with our Husky Mount. 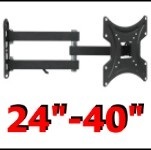 Recommended for TV's 32" - 55"
The recommended screen size is only an approximation. 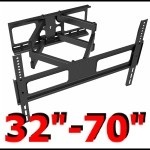 Your TV will be compatible with this mount as long as your display has a compatible mounting pattern and its weight fit within the limits listed above. 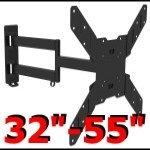 VESA Patterns: This mount is compatible with standard VESA patterns up to 400x400mm. This includes patterns 75x75mm, 100x100mm, 200x200mm, 200x100mm and 400x400mm. 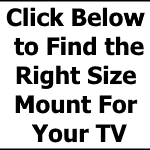 Weight: Your TVs weight should not exceed 66lb. 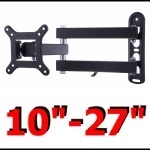 This mount can fit larger or smaller TVs as long as it fits within the above specifications. We ship orders within 24 hours of payment. Most items are deliverable to P.O. Boxes; If it is not, we will contact you and ask for an alternate delivery address. Your satisfaction is our top priority. 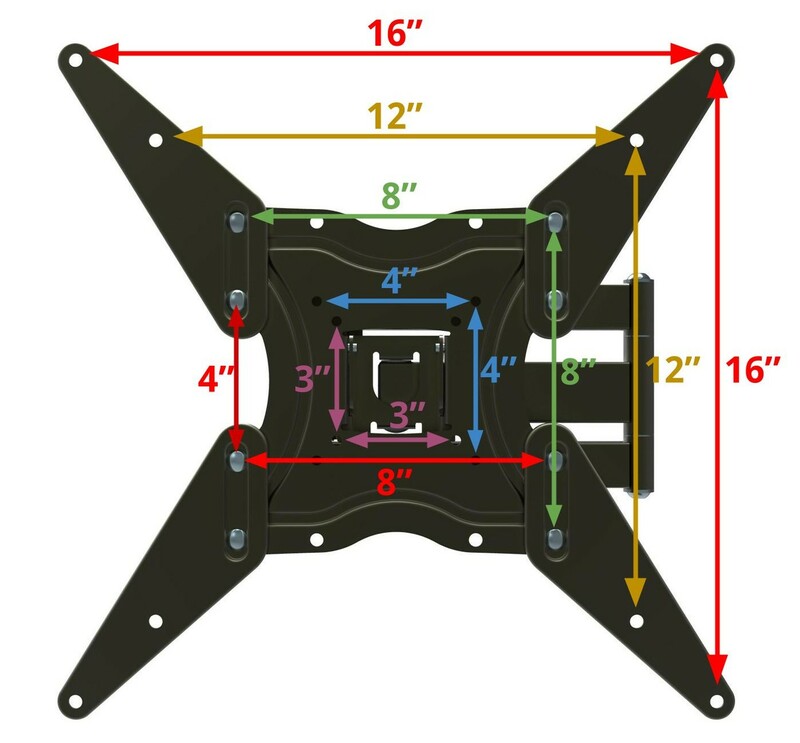 If you are not 100% satisfied with our product, please contact us for a full refund or replacement within 30 days. We are here to help! Husky Mount does not share or sell any customer information to third parties. E-Mail addresses and phone numbers are protected and never shared with outside parties.